Common velvet grass found on Calvert Island. Note the velvety texture visible on the stems and leaves in the image at left. Photos by Andrew Simon (left) and John Reynolds. Common velvet-grass is a perennial species that takes its name from its velvety-hairy leaves tufted stems. The stems are hollow, weak, and grow to 100 cm tall. The leaves are flat, greyish, have open sheaths, and get to 1 cm wide and 25 cm long. The inflorescence takes the form of a 5-15 cm long, light greyish-purple, compact panicle (a branching seed head). Common velvet grass is an exotic species introduced from Europe. It found in disturbed areas such as fields, lawns, along roads and railroads, and waste areas. It is common to abundant at low elevations in coastal BC, particularly in more southern regions and around developed areas. It has also been introduced to Asia, Africa, Australia, New Zealand, and sub-Arctic areas. 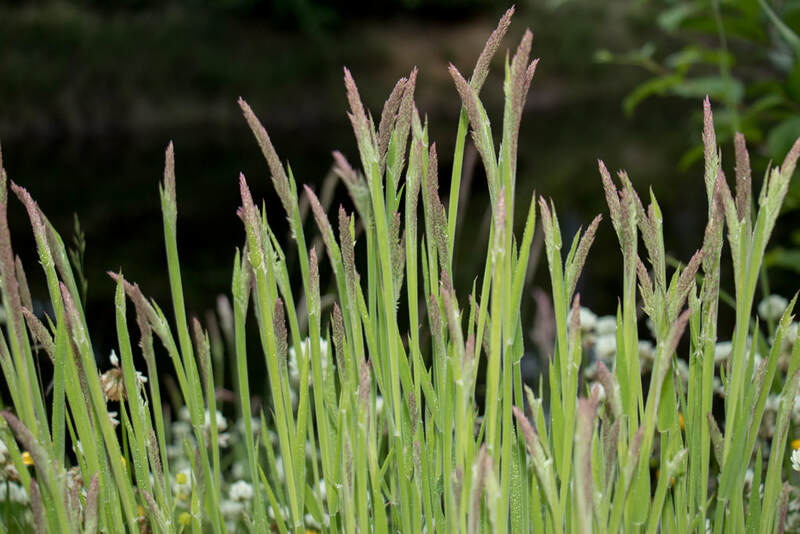 Creeping velvet-grass (Holcus mollis) is a similar but less common exotic species. Its stems are less hairy, and it has creeping rhizomes. 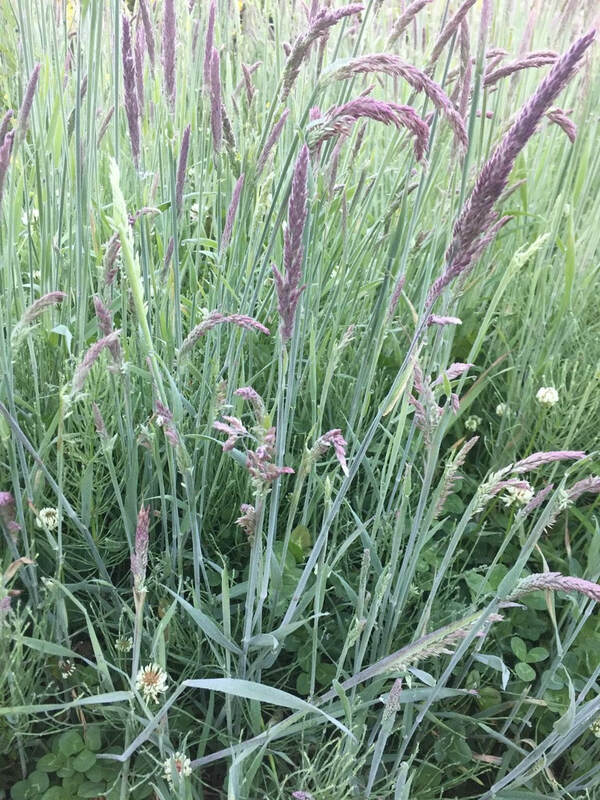 Common velvet grass, along with some other species, has populations that are tolerant to heavy metal (copper, lead, zinc, arsenic) concentrations that would normally be toxic. Common velvet-grass competes with native plants for resources, and can be a problem in more sensitive ecosystems. Click here for information on managing this species. (2003). 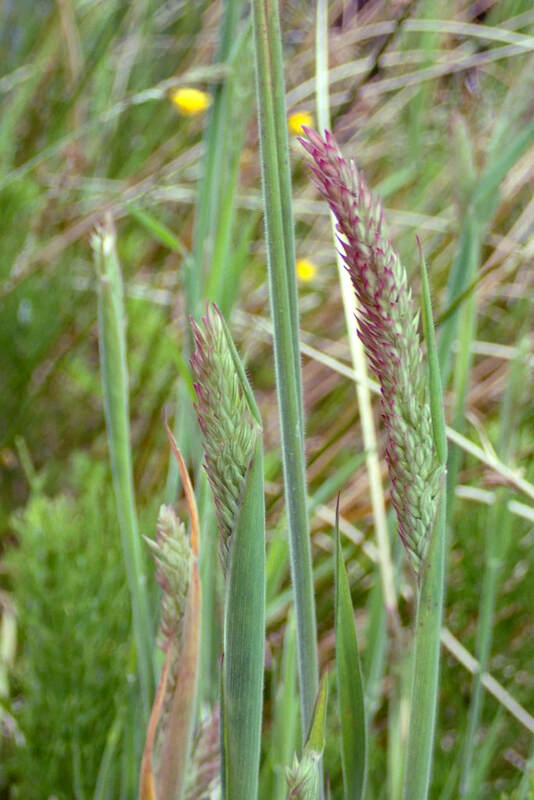 Holcus lanatus (common velvet-grass). Invasive Species in Garry Oak and Associated Ecosystems in British Columbia. Garry Oak Ecosystem Recovery Team Society. Accessed 12/09/2013. Holcus lanatus L. In Klinkenberg, Brian. (Ed.). E-Flora BC: Electronic Atlas of the Plants of British Columbia. Lab for Advanced Spatial Analysis, Department of Geography, University of British Columbia, Vancouver. Accessed 11/09/2013. Pojar, J. and MacKinnon, A. (1994). Plants of Coastal British Columbia. Vancouver, BC: Lone Pine Publishing. P. 385.